Community has always been at the heart of Manchester City Football Club both at home and abroad. As a club with roots firmly in the local community, one of our key aims is to give something back to those people, both domestically and internationally, that have supported us through the years. Our health, coaching and education programmes as well as our involvement in the regeneration of east Manchester, touches the lives of over 200,000 people a year. For over 26 years CITC has engaged with people from all areas of Manchester, showing the clubs’ commitment to supporting its local communities. In addition to this, we endeavour to engage and interact with the various communities we come into contact with all over the world - from Africa to the Middle East and North America. We hope our supporters across the globe will enjoy learning about what we do and will engage with us as our community work develops and grows worldwide. The Football Association and Sport England are joining forces with the Premier League and the Football League to deliver the new Women and Girls' Football initiative. 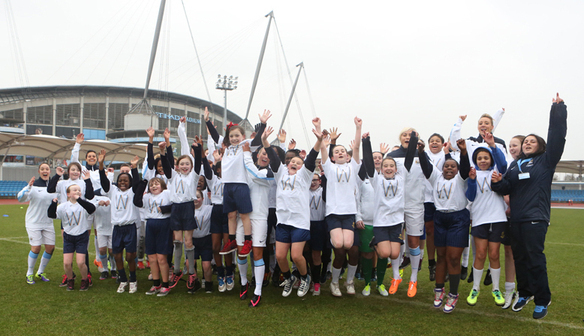 The aim of this programme is to increase participation in women's and girls' football. 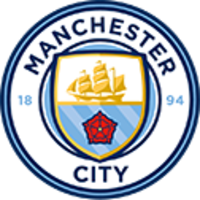 City in the Community Foundation are currently delivering 12 sessions per week aimed at 14-25 year olds. If you are looking to play football, meet new friends, get some exercise and have fun these sessions are for you and they are absolutely FREE! If you are interested in any of the sessions please contact Hannah Steele on 0161 438 7844 or alternatively email hannah.hipkin-steele@mcfc.co.uk.